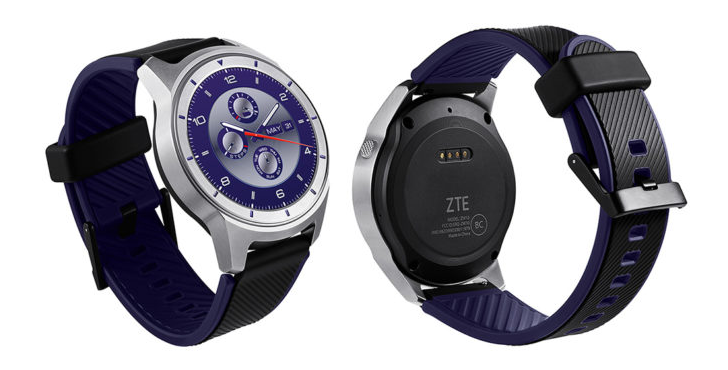 ZTE's first Android Wear watch has been in the rumor mill for a couple of months. We first heard about its existence in February then showed you exclusive photos and details in March. Now the Quartz is official and everything we said was right on the money. This will be an Android Wear 2.0 watch with a Qualcomm Snapdragon 2100 processor, 768MB of RAM and 4GB of storage, cellular connectivity (3G, no LTE here), a speaker and a microphone, IP67 water and dust resistance, and a 1.4" AMOLED display with a 400x400 resolution and Gorilla Glass 3 on top. The nice surprises are the existence of a GPS chip, which should be exciting for those who want to use it for navigation or while exercising outdoors, the relatively beefy 500 mAh battery, and the interchangeable 22mm bands. All of that comes in a 46 x 46 x 14.5mm package. Like we previously revealed, the Quartz doesn't have NFC for Android Pay or a heart rate sensor on the back, and there's no rotating crown or bezel or any way of interacting with the UI beside putting your grubby fingers on the screen. Plus, the charger is a proprietary puck with 4-pins so you don't get the benefit of wireless charging. But the price is still very appealing. At $192, it offers more bang for your buck than the LG Watch Style (unless you consider the recent sales on that) and several other newly announced Android Wear 2.0 watches. It'll launch exclusively on TMobile.com in the US on April 14 with several T-Mo retail stores stocking it one week later on April 21. 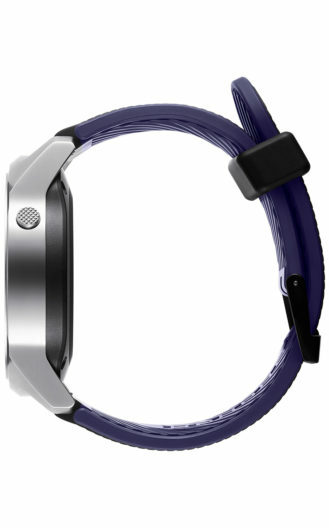 RICHARDSON, Texas--(BUSINESS WIRE)--ZTE USA, the fourth largest smartphone supplier in the U.S. and second largest in the no-contract market*, today announced its first wearable device in the U.S. - the ZTE Quartz connected smartwatch. Available exclusively at T-Mobile, the ZTE Quartz brings consumers the benefits of an always-connected experience with cellular, Wi-Fi® and Bluetooth® connectivity. Available on TMobile.com beginning Friday, April 14 and in select T-Mobile stores beginning Friday, April 21 for $192, the ZTE Quartz evokes a bold design and smart experience at an unbeatable price. Powered by Google Android Wear 2.0 and the Qualcomm® Snapdragon™ Wear 2100 platform, the ZTE Quartz smartwatch offers users the ability to connect to what matters, virtually wherever and whenever. Consumers can make calls, send and receive texts, share on social media, get directions, stream music, and so much more without always having to carry their smartphone. 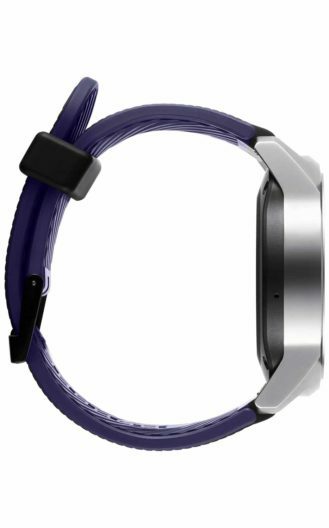 Affordability for All: For under $200, you now have access to the latest technology packed into a functional and stylish smartwatch. Long Battery Life: Fitted with a large 500mAH battery, the Quartz allows you to enjoy the smartwatch anytime without having to worry about running out of battery. 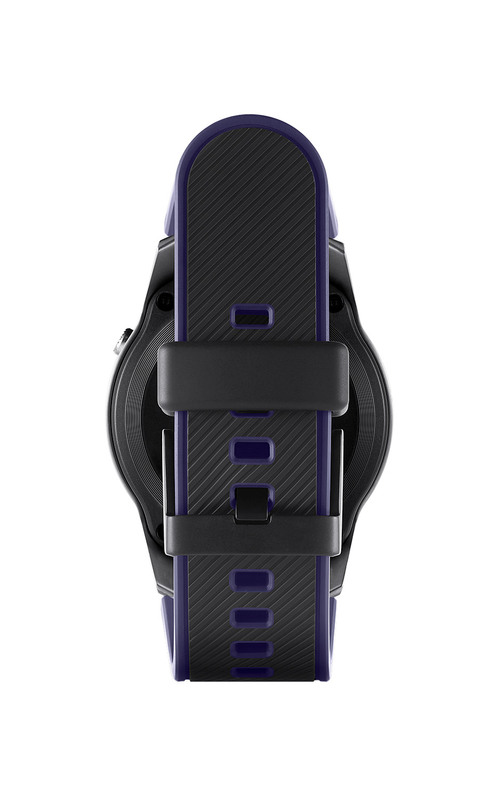 Customization at Your Fingers: With interchangeable wrist bands and customizable watch faces, proudly wear the smartwatch whether you are dressing up or dressing down. 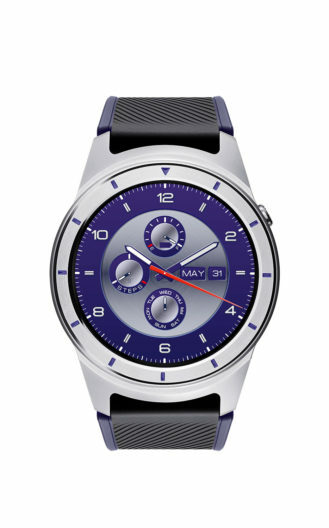 Snapdragon Wear 2100: The smartwatch takes advantage of Qualcomm Technologies’ advanced Snapdragon Wear 2100 platform, which is designed specifically to meet the demanding size and battery life requirements of a compact smartwatch while delivering a smart, super-responsive, and virtually always-connected experience. For a full list of phone specifications and features visit https://www.t-mobile.com/internet-device/zte-quartz.